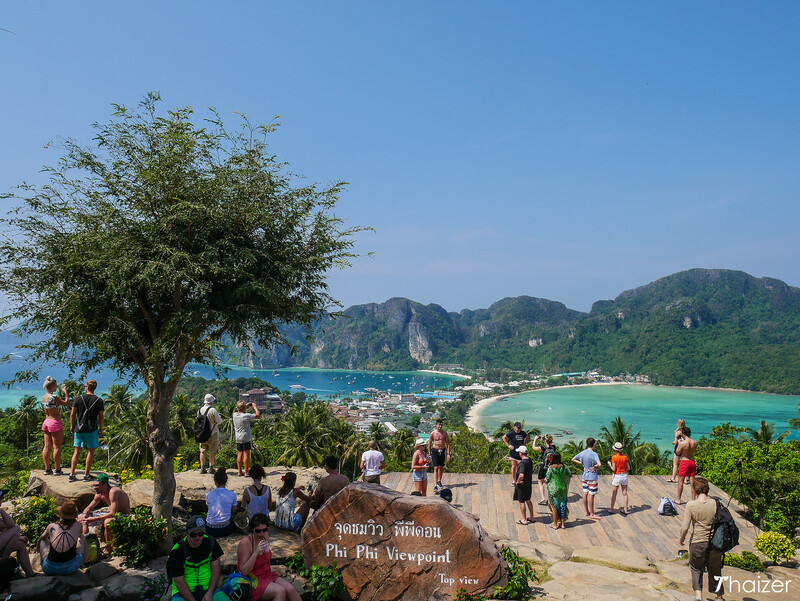 If you’ve been researching what to see and do on the Phi Phi islands, you may already have seen photos taken from the viewpoint on Phi Phi Don. 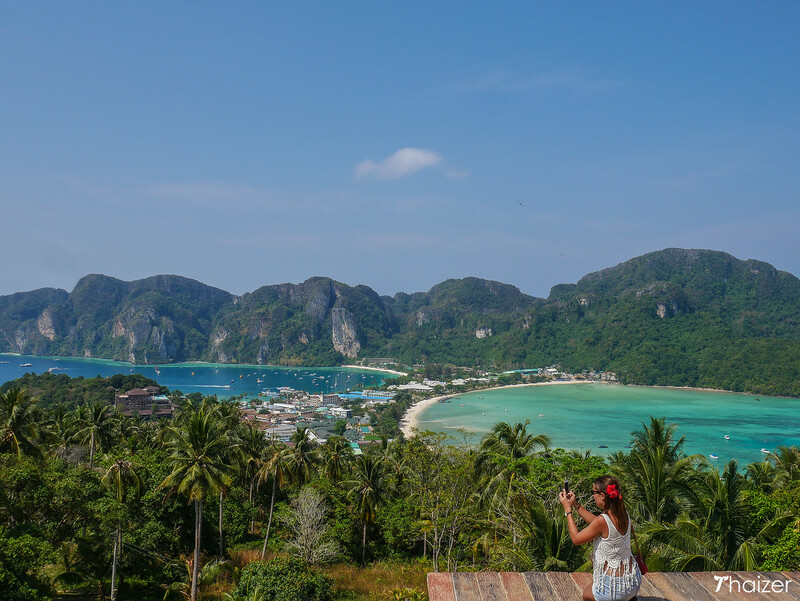 The classic snapshot looking down over the twin bays of Tonsai and Loh Dalum is one of the most famous views in Thailand and if you visit Phi Phi it’s worth taking time out away from the beach to experience it for yourself. Although there is some legwork involved, the climb to the viewpoint isn’t as daunting as it might appear. 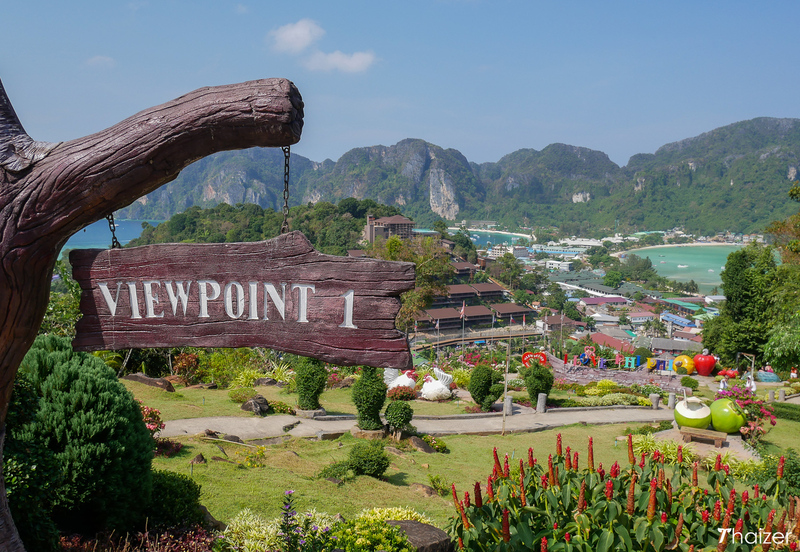 There are actually three different viewpoints on Phi Phi Don to enjoy and all can be reached via the same walking route that is signposted on the island. 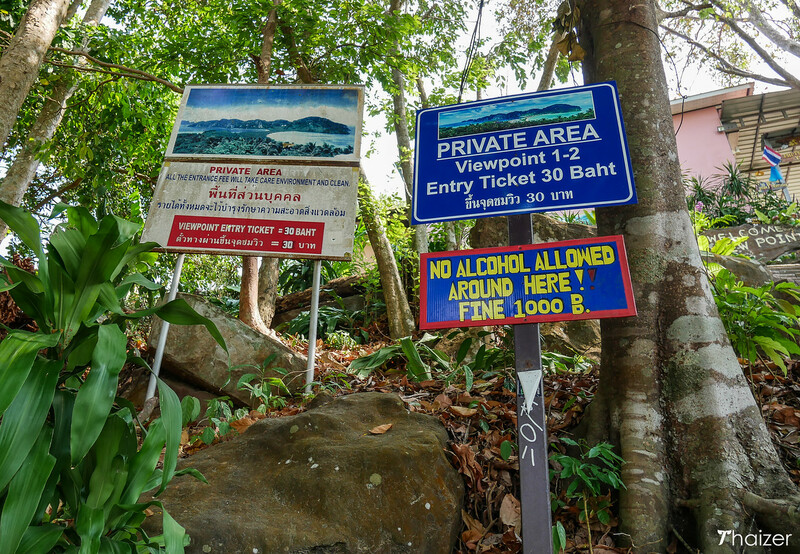 Follow the signs along the paved pathways until you reach the steps at the bottom of the Phi Phi Arboreal Resort. From here, a slow walk up the steps will take around 10 minutes to reach the first viewpoint area. If you are reasonably fit you shouldn’t have too much trouble, but walking up the steps in the Thai heat will have you breathing a little harder than usual so take your time and don’t forget to carry water with you. You will be asked to pay a 30 Baht entrance fee to access the terrace and landscaped gardens. This fee also covers you for the second viewpoint. There are toilet facilities at this first viewing area and a few basics stalls selling snacks, water and cold drinks. From the first viewpoint, follow the signs to the pathway that leads up to the second viewpoint. The walk takes approximately 5 minutes and although it involves climbing more steps the extra effort is worth it because the panorama at the second viewpoint is more impressive than the first one. The viewing area on the second level is smaller than the first level and the wooden viewing platform that extends over the rocks can get crowded, so you may have to be patient to get that classic shot which suggests you are the only person there enjoying the view. There is also a cafe here serving food and drinks, but it’s always a good idea to bring water with you. 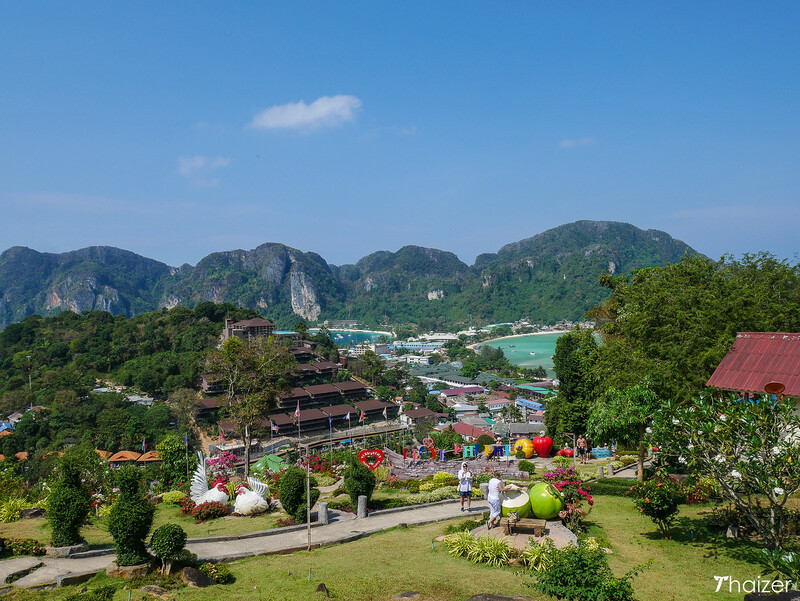 If you’ve made it as far as the second viewpoint without feeling too tired, you may as well go all in and make your way to the third and final viewpoint which is another ten minute walk along a dusty pathway. 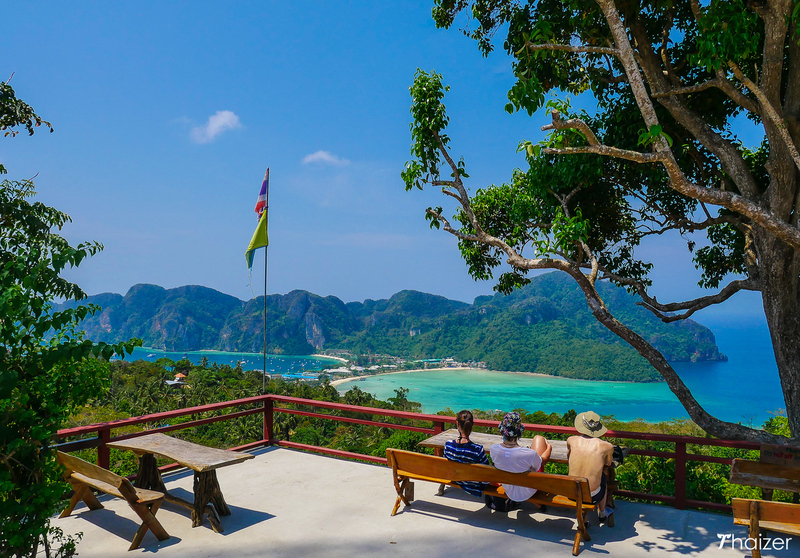 Most visitors head back down to sea level after reaching the second viewpoint which means that the third viewpoint sees fewer visitors and feels more intimate and relaxed. 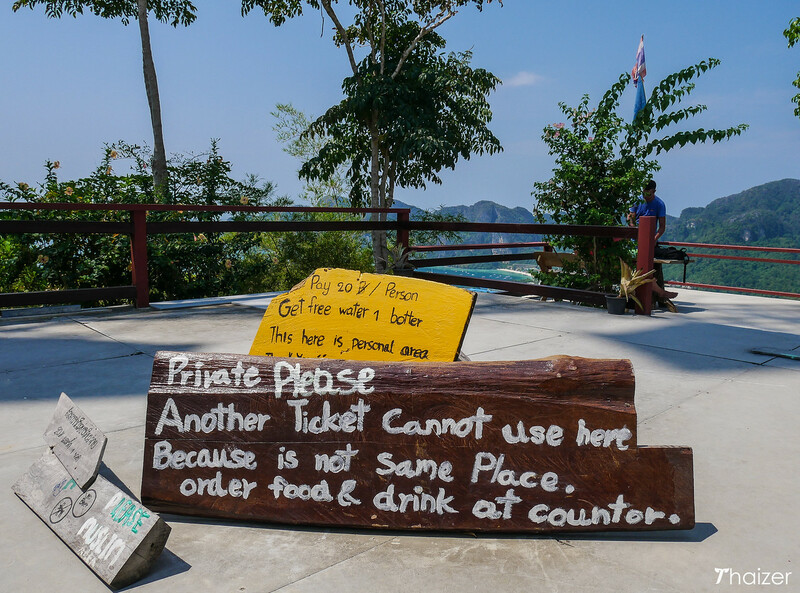 This is a private area with a small cafe and viewing platform and so you will be asked to pay another fee of 20 Baht. You do get a welcome bottle of cold water with that so the price seems reasonable enough. 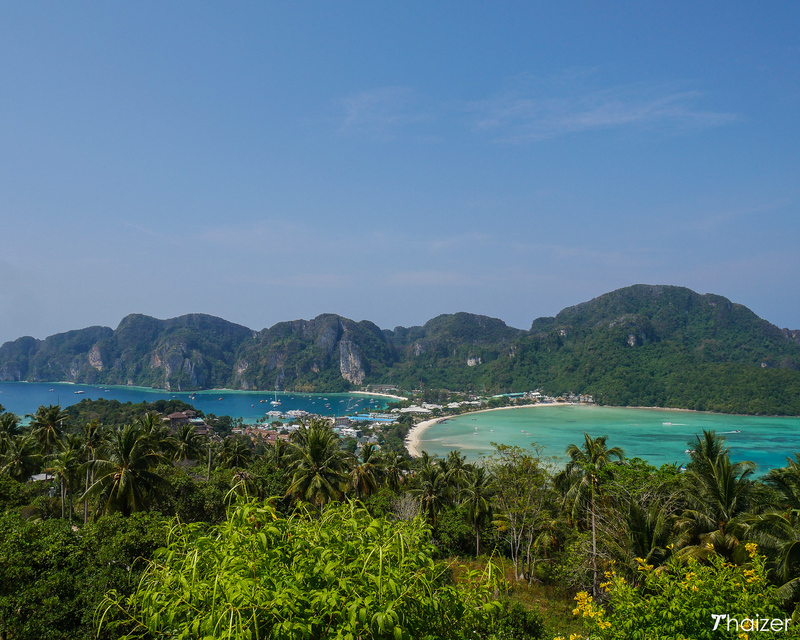 Phi Phi is a small island and although the route to the viewpoints are signposted, it can still be confusing. You need to head along the paved pathways towards Phi Phi Arboreal Resort. Depending on your starting point, some signposts will take you along a road which then turns into an unpaved trail; this is not the best way to go if you are on foot. On my recent trip I walked back down from the viewpoints using this route to test it and can confirm it takes much longer and is far more effort. This is the route used by vehicles, but if you are walking it is much easier to go the other way and walk along the path towards Arboreal Resort. Do take water with you, but please note that alcohol is not allowed at the viewpoints. Entrance fee: 30 Baht for a ticket that covers Viewpoint 1 and 2. An additional 20 Baht to access Viewpoint 3. Visiting in the late morning and early afternoon is hot, but with the sun high overhead is probably the best time of day to see the sparkling blue and turquoise of the sea. Visiting at sunset is another good time for atmospheric photos.